A Bengaluru-based real estate builder of global repute, Embassy Group has chalked out an ambitious plan selecting three verticals including building office space, logistics and industrial warehousing projects to be launched in Chennai this year entailing an investment of Rs.10,000 crore. Michael Holland, CEO-Commercial Real Estate, Embassy Office Parks, said adding that the projects in the commercial segments are timed to exploit the upswing in the demand for quality space in these segments over the next five years, the developer will be offering over 20 million sqft of fully-managed industrial parks in India. In addition, it will kick off the second phase of its residential project Embassy Residency. The developer will launch about 1,000 apartments shortly at Sholinganallur to the south of Chennai. The first parcel of one million sqft at Embassy Splendid Tech Zone SEZ is due for completion before the year-end covering a total of 4.5 million sqft planned on 30 acres at the Thoraipakkam-Pallavaram Radial Road. There is keen interest among occupiers for space in integrated, modern office space. On industrial and warehousing space the company currently has three projects in Gurgaon, Delhi; Chakan, Pune; and in Sriperumbudur near Chennai. 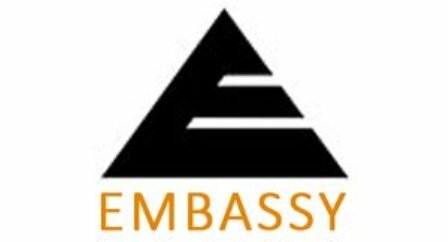 Reeza Sebastian, Senior Vice President – Residential Business, Embassy, said in the second phase of the Embassy Residency, apartments of 900-1600 sqft with 2 and 3-BHK will be available in the price range of Rs.45 lakh to Rs.85 lakh.